Introduction This critical guide to terms, phrases, and slogans widely used by the American educational community is conceived as a kind of typhoid tetanus shot, a controlled dose of the pathogen in nontoxic form to inoculate those who become exposed. Prospective teachers and members of the general public are bemused, bullied, and sometimes infected by seductive rhetorical flourishes like "child-centered schooling" or bullying ones like the dismissive words "drill and kill." These terms and phrases pretend to more soundness, humaneness, substance, and scientific authority than they in fact possess. Promulgating this system of rhetoric has been an ongoing function of American schools of education, whose uniformity of language and doctrine ensures that every captive of the teacher- certification process and every professor trained to continue the tradition is imbued with educationally correct phrases. Consensus -through- rhetoric has been one of the main instruments of the Thoughtworld's intellectual dominance. As an example of this uniformity in teacher preparation, I quoted on pages 129-30 a typical passage from an education -school textbook called Best Practice. 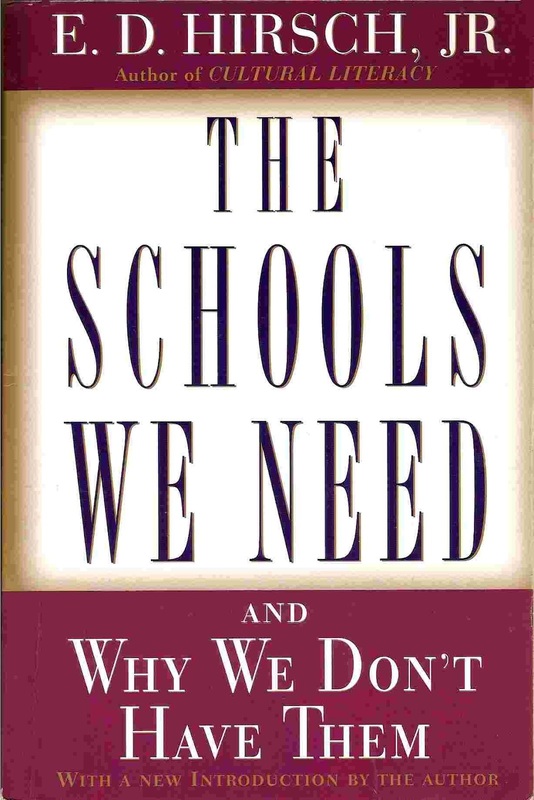 The authors claimed that a doctrinal consensus exists among the important educational organizations-including the National Council of Teachers of Mathematics, the Center for the Study of Reading, the National Writing Project, the National Council for the Social Studies, the American Association for the Advancement of Science, the National Council of Teachers of English, the National Association for the Education of Young Children, and the International Reading Association-regarding the best principles of pedagogy. These consensus principles were lauded as " child- centered," "progressive," "developmentally appropriate," and "research -based." 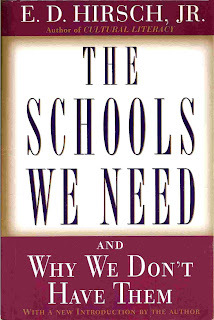 On the authority of this professional consensus, teachers were instructed to de-emphasize and deplore practices represented by bad words like "whole class instruction ... .. passive listening ... .. textbooks", "broad coverage ... .. rote memorization of facts ... .. competition," "grades," and "standardized tests," and to accentuate practices represented by good words like "hands-on learning," "discovery learning ... .. less is more ... .. student responsibility ... .. individual learning styles," "cooperative learning," and "nonstandardized assessments." None of this advice is sound. Yet, for any prospective teacher to whom the advice is presented so authoritatively and repeated so often, it would be reasonable to assume that it must be true. Repetition and consensus give the phrases a self-evident, not-to -be-questioned quality which induces those who repeat them to believe them earnestly and implicitly. Tool conception of education: "accessing skills," "critical-thinking skills," "higher-order skills," "learning to learn," "lifelong learning,"metacognitive skills," "problem-solving skills," "promise of technology." Romantic developmentalism: "at their own pace, " "child-centered schooling, " "developmentally appropriate," "/actory-model schools, " "individual differences," "individualized instruction," "individual learning styles," "multiaged classroom, " -multiple intelligences, " "one size fits all, " "student-centered education," "teach the child, not the subject." Naturalistic pedagogy: "constructivism, " "cooperative learning," "discovery learning, " "drill and kill, " "hands-on learning, " "holistic learning, " "learning by doing," "open classroom," "multiaged classroom," "project method, " "rote learning, " "thematic learning, " "whole-class instruction, "whole-language instruction." Antipathy to subject-matter content: "banking theory of schooling," "facts, inferior to understanding," "facts are soon outdated," "intellectual capital," "less is more," 11 mere facts," "rote learning," "textbook learning, " "transmission theory of schooling, " "teaching for understanding. " Antipathy to testing and ranking: "authentic assessment," "competition, "exhibitions," "Performance-based assessment," "Portfolio assessment." So closely interrelated are the topics mentioned under each of the above headings that the following Glossary will largely omit cross-references in order to avoid bombarding the reader with constantly repeated indications like See also "Accessing skills, " "Critical-thinking skills, " "Higher-order skills, " "Learning to learn," "Lifelong learning," "Metacognitive skills," "Problem-solving skills," "Promise of technology," and so on. The family resemblances among these terms may be owing partly to a process of historical transformation. When a phrase like "learning by doing" becomes discredited, the principle may still live on in a protean transformation like "hands-on learning." If the "open classroom" becomes a source of disillusion, it may be reborn as the "multiaged" classroom. A reader wishing to pursue the transformations of these themes may simply refer back to the groupings listed above, and may also consult the Index to find page references to more extended discussions and documentations in the body of the book. I hope readers will find the Glossary useful. What is valid in the old rhetoric should be left to flourish, but what is false should be dug up and exposed to common sense. Before we Americans can cultivate new educational ideas, the ancient plot of ground must be weeded. Many people in recent years have expressed a sense that something is not quite right about these facile doctrines in all their various guises. For those persons, the following short commentaries are offered as reinforcements for their own insights and experiences.